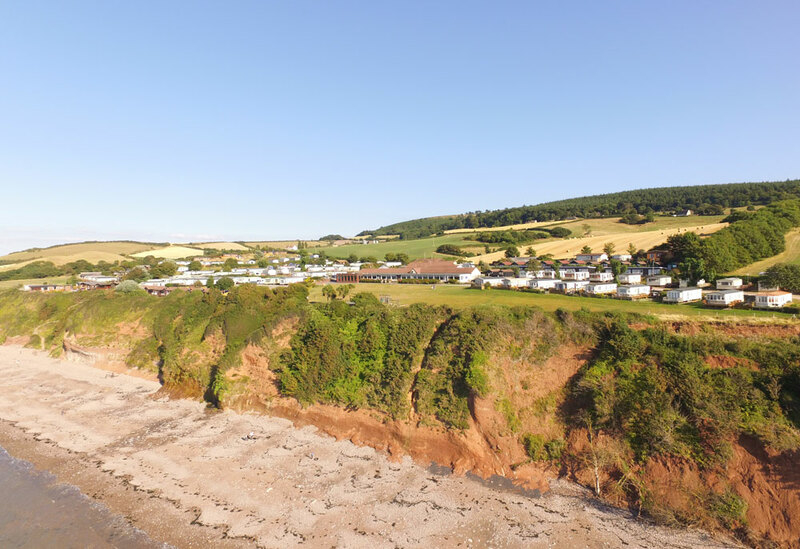 Our brand new Willerby Granada at St Audries Bay in Somerset has arrived and is ready to view! The plot for this holiday home has magnificent views over the sea and is very private with a lovely garden which you can make your own. A brand new deck has been fitted along with new steps and skirting so ready to move into and enjoy the season. This model has a higher than normal specification and includes the new exterior cladding, sliding patio door, dishwasher and microwave. It comes with a bedding pack to co-rodinate with the other fabrics and has the alternative upholstery option in the lounge. The Willerby Granada is an open plan holiday lodge which offers a great deal of space throughout. The large seating area which wraps around the lounge provide an area for a real family get together. They have made a feature of the fireplace which houses an electric fire to take the chill off during those chillier months. The kitchen offers a practical and stylish look with its grey worktops and splash backs. These blend well with the two tone kitchen units with cream doors and light oak casing. The kitchen appliances are integrated heating a luxury feel. The bedroom provides a tranquil sleeping and relaxing area with its king sized bed. Storage has been maximised with the under bed storage and large full sized wardrobes. There is a dressing table and stool too, so you can get ready for the day in style!